Yatra Flexi Stay Hotels lets you check-in and check-out anytime with usage based pricing. Aside from that you can enjoy free vouchers on every booking, a great advantage to the customer. Although, for the free vouchers there is a special coupon code you need to use. So, if you have a holiday coming up, think no longer. 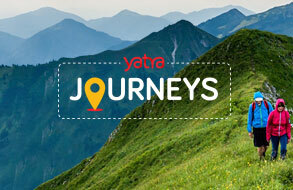 Log on to Yatra.com and book your hotel.